Normal hits a new LOW! The Normal Township Assessor’s Office wants to make sure they have apartments valued correctly for real estate tax purposes. 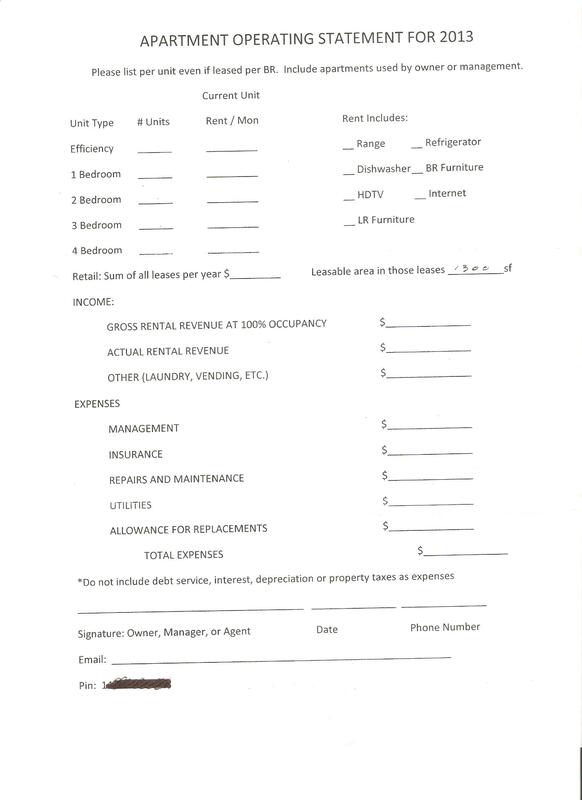 If you own apartments in Normal – I urge you to NOT complete and return the requested information. The Normal wants to know how much money you make from YOUR property! You will be taxed by the income generated on YOUR property, not the fair market value. Properties have always been assessed based on square footage and the value of like properties. Normal needs money, so they are looking to apartment owners. Normal has no right to know how much income YOUR property produces, and it has no right to tax you according to that income. Normal is not a socialist/communist city where government decides how much income you are entitled keep by taxing “the excess”. 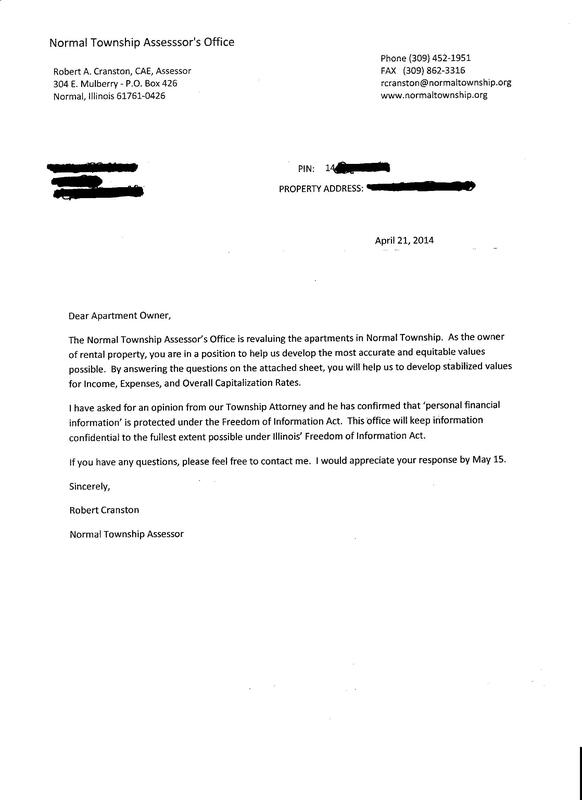 Below is a copy of the letter sent to apartment owners and the worksheet they are asked to complete and return. Apartment owners: tell them you refuse to comply! Posted in - - - Please Contribute - - -, BloNo, Normal, Taxes.Tagged Chris Koos, Normal Township Assessor. Ha! Hopefully the apartment owners tell the Koos regime to stick it! Maybe some day the rear posterior kissers in Normal will realize that the more power they give to the control freaks, (Koos regime) that the next thing you see is you too will not be exempt. There is no honor among liars or thieves.